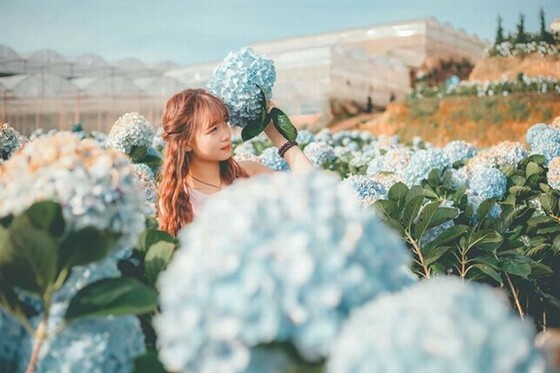 The new tourist attraction are extremely attractive to young people and flower lovers come to take photos and “check-in” is the garden of hydrangeas in Dalat. 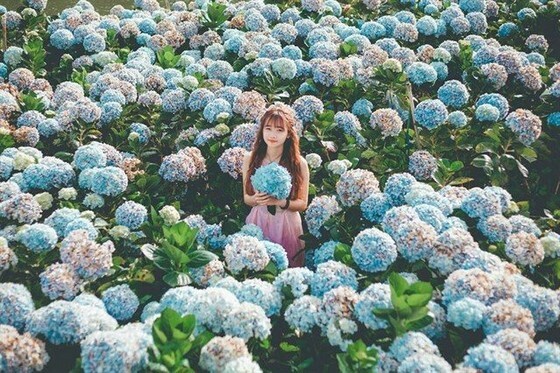 Where is the hydrangea flower garden? 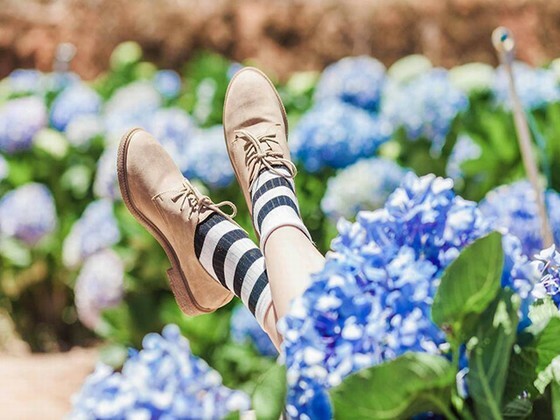 In Dalat, when does the hydrangea flower bloom? 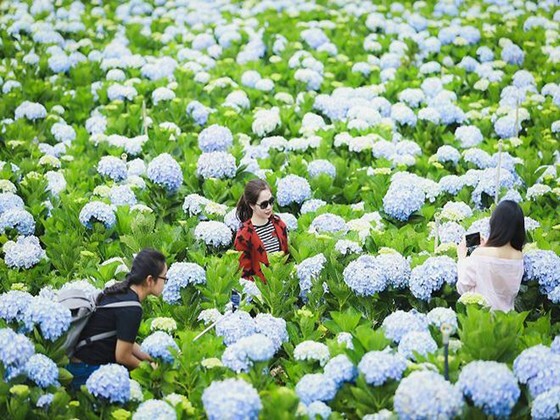 Why does hydrangea in Dalat become famous? What is special about hydrangea flower? 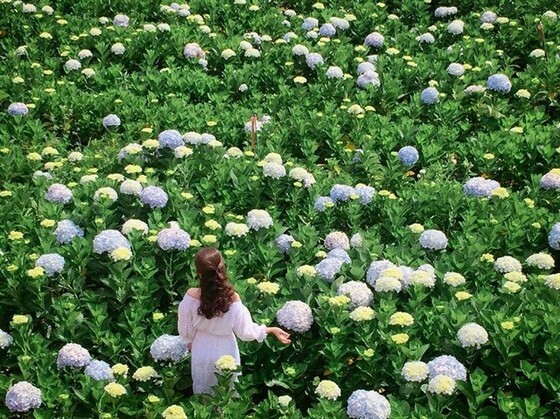 Currently there are many hydrangea gardens in Dalat. 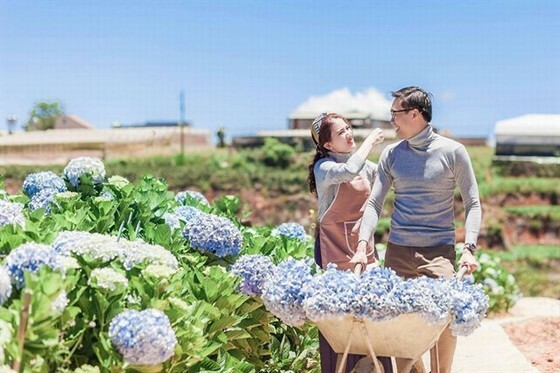 In this article, Dalat Trip will share to you the address of the largest hydrangea gardens with the most beautiful and full blooming flowers for you to come and take photo. This hydrangea valley is located in Trai Mat area, Xuan Tho commune, about 15km from the center of Dalat city, with an area of up to 2 ha. From Dalat Market => you ask for directions to Linh Phuoc Pagoda, after finding Trai Mat area, at Trai Mat Train Station, you go straight. Another 5 km, you will see a sign on the left hand side of the road to the flower field, going another 500 m to reach the garden. If you are still struggling because you are not familiar with the above directions, you can follow the below map of Dalat to find the address of the most accurate hydrangea field. 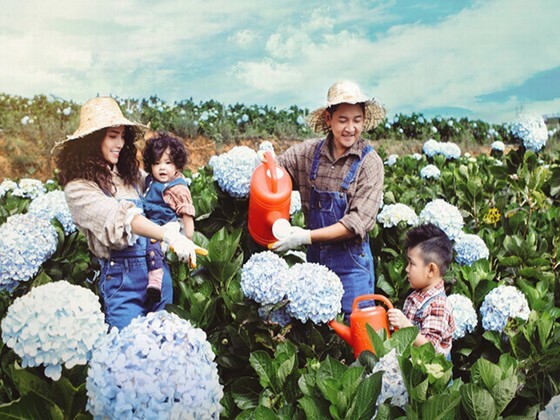 This is a question of many people who travel to Dalat 3 days 2 nights in self-sufficient trip because they want to go to the city of thousands of flowers at the right time of hydrangea flower blooming. The answer for you is hydrangea flower bloom all year round, so you can visit this place all the time. Hydrangea just recently famous at the end of 2017 and many people ask the question: this flower has existed for a long time in Dalat, why it became famous too late? 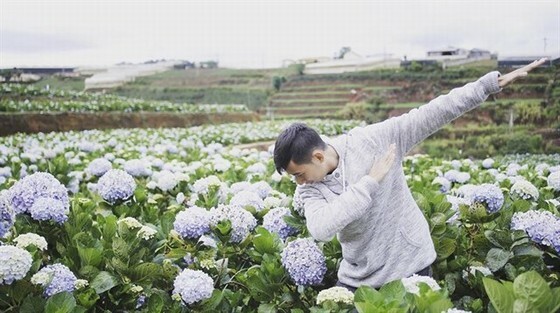 And the way this flower became famous is also coincidental when a young couple shares their wedding photos on Facebook and hundreds of questions about this place’s location. 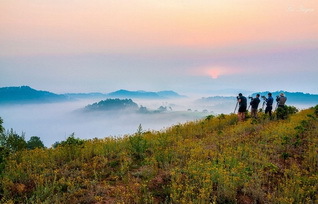 Only after a while of sharing, this flower field has become an indispensable shooting point when coming to Dalat by tourists. Many people want to buy hydrangeas flowers for decoration or business, they can contact directly to this garden to get the cheapest price. Don’t forget to buy a tree to plant, it doesn’t waste too much space and it’s easy to take care of the plant. 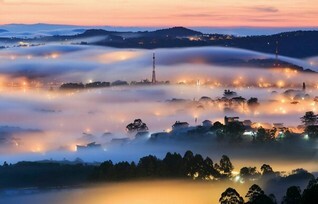 A special feature of this flower is that: if grown in Dalat, the flowers will bloom very big and beautiful. Flowers are multicolored and each color depends on where it is grown due to PH level of soil.